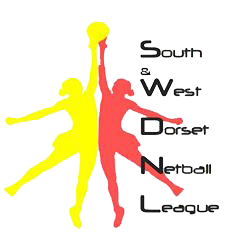 THE South and West Dorset Netball League saw some thrilling encounters this week, including one-sided victories for New Body Fitness and NMP Property, while GW Electrical edged an extremely tight contest against Café Oasis. BOTH teams started with only six players. Amelia Strait, GK for New Body, put extreme defensive pressure on Waikiki’s shooters. Waikiki tried to counteract this effective defence with strong holding in the circle from GS, Crystal Butcher, but some exceptional interceptions from New Body, converted into goals, saw them carve out a nine-goal lead at the end of the first quarter. The match continued with New Body dominating in both attack and defence. Waikiki worked hard to curb New Body’s relentless work rate but with New Body now having all seven players on court, Waikiki had an impossible task ahead. In the final period, New Body made some positional changes, forcing Waikiki to adapt their game accordingly. Ultimately, it was New Body who walked away with a resounding 57 goal lead. STIKA got off to a strong start with some accurate shooting and lovely passing into the circle. Cresta responded with excellent mid-court play and equally impressive shooting to take the first quarter. Throughout the match Cresta continued to show their incredible unity, with both defence and attack working with skill and precision. Stika used some good set plays and movement through the court to increase their score but Cresta continued to build up a steady lead. The final quarter saw both teams working hard to get possession, with Cresta’s GK, Olivia May, and GD, Lucy Astrid, putting up superb defence to limit Stika’s scoring opportunities. Stika’s GA, Ceri Billin, did well to overcome this defensive onslaught, with fantastic movement in the circle and accurate shooting. Despite a valiant effort on Stika’s part, Cresta walked away with a convincing win. The match began with fast-paced play from both teams, leading to some brilliant interceptions from the midcourt players. NMP, however, were more successful at converting these interceptions into goals, gaining them an early lead. The pressure continued through the mid-quarters, with superb movement from NJ Netballs GA, Ellen McDonald, who also worked well to support her team down the court. Both teams put up strong defence, however NMP’s GA, Sasha Harrison, scored some impressive goals from distance to keep her team in the lead. NJ Netball made some varied passes which threw NMP off and allowed them to score a few more goals. NJ Netball kept high spirits, encouraging each other throughout the match, however NMP managed to increase their lead and walked away with a 27-goal victory. CAFÉ Oasis come close to short circuiting GW Electricals’ winning streak! GW electrical started off the stronger team, quickly gaining a 4-0 lead. Café Oasis took some time to find their feet but managed to get some points on the board, despite excellent defence from GW’s GK, Laura Osbourne. The second period saw both teams performing well in the mid-court. Café Oasis’ defensive team worked well to intercept balls in GWs attacking third, allowing Oasis to close the gap. Oasis’ C, Jane Snarey, did well to provide endless options for her team and controlled the game with excellent communication. GW picked up their game and on-point shooting from GA, Hayley Rooks, helped them get the lead back. The final quarter saw Oasis fighting hard. WD, Merryn Harvey chased down loose balls and made some stunning interceptions, winning back vital ball for her team. Oasis managed to level the scores but a goal for GW in the dying seconds of the game allowed them to take the victory.